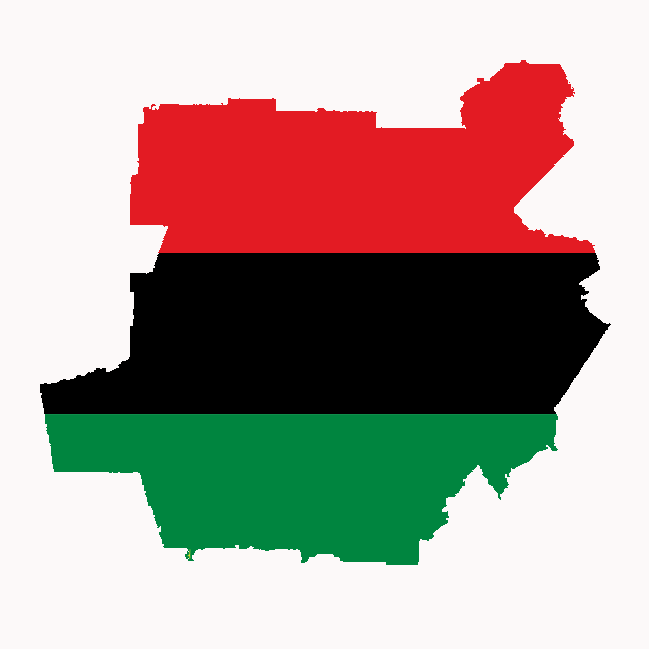 After powerful opening remarks from Kali-Ahset Amen, the November 9, 2016, symposium, Still the Black Mecca? 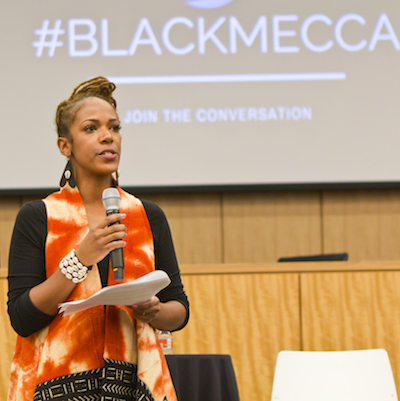 : Race, Social Inequality, and Urban Displacement in 21st Century Atlanta, began with a provocative dialogue between Andrea Young and Maurice J. Hobson about the city’s history as a “black mecca” between the 1960s and the 1996 Olympic Games. We present video recordings of this dialogue below. Andrea Young is the executive director of the Andrew Young foundation, co-author of Andrew Young and the Making of Modern Atlanta (Mercer University Press), and the new executive director of the ACLU of Georgia. 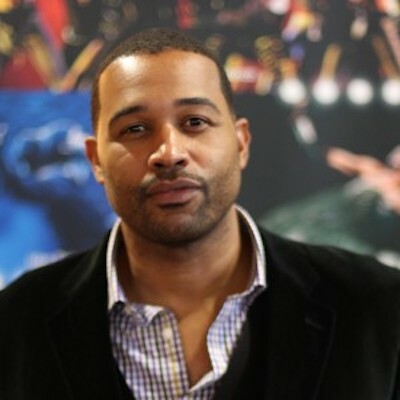 Maurice J. Hobson is assistant professor of African American studies at Georgia State University and the author of the forthcoming book, The Legend of the Black Mecca: Myth, Maxim and the Making of an Olympic City (University of North Carolina Press). In these opening statements, Andrea Young and Maurice Hobson explain the agendas that inform their respective research projects about Atlanta and give some background on their own connections to the city. In the first part of their dialogue, captured in the following set of videos, Young and Hobson discuss some of the events in Atlanta during the tumultuous 1960s and how the the city mayor William B. Hartsfield had deemed “too busy to hate” the decade prior became a hotbed for both community mobilization as well as “urban renewal” and its eventual backlash. In the second portion of their dialogue, captured in the following videos, Young and Hobson reflect on Atlanta in the 1970s, discussing Maynard Jackson’s terms as the city’s first black mayor, the rise of MARTA, and the expansion of Hartsfield Airport into an international hub, as well as the Sanitation Workers’ strike and the Atlanta Youth Murders. In the third portion of their dialogue, captured in the following videos, Young and Hobson discuss both the emergence of Atlanta as an international city in the 1980s and the underside to the city’s development, focusing on Andrew Young’s legacy as mayor, the city’s shift de-industrialization, the emergence of crack cocaine, and the 1988 Democratic National Convention. In the final portion of their dialogue, captured in the following videos, Young and Hobson discuss the culmination of many of the trends from the previous three decades in first half of the 1990s as the city won a bid to host the 1996 centennial Olympics and became an increasingly visible site for black culture ranging from the music of Babyface, Goody Mob, Outkast, and TLC to the emergence of the National Black Arts Festival and Freaknik. Some Techwood Homes Units are Boarded Up, August 17, 1993. Photo by Frank Niemeir. AJCP312-005bn, Atlanta Journal-Constitution Photographic Archives. Special Collections and Archives, Georgia State University Library. Copyright Atlanta Journal-Constitution. Courtesy Georgia State University.